Retaining 100% of your convenience store employees is not a realistic goal, nor should it be. You will still have to let people go when they’re not a good fit for your team, and even loyal employees will have to change jobs sometimes. Take a look at what your turnover rate is now, and set a goal to decrease it by a specific percentage in the next period. You may also want to set different goals based on different position levels. Part-time positions will likely have higher turnover rates than management positions, for example, and your retention goals should reflect those differences. If you don’t know why you’re losing employees, you need to find out. Dig deep. If an employee leaves for “a better opportunity,” find out why they were looking for that opportunity in the first place. 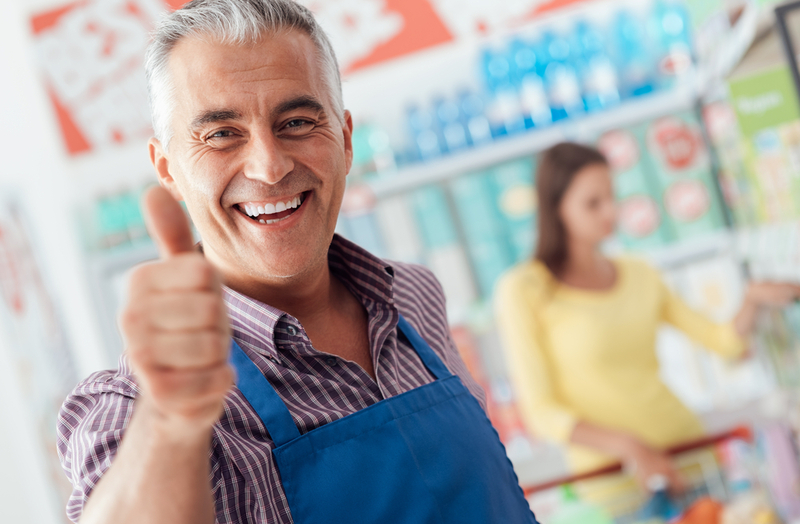 Exit interviews are critical to improving employee retention in your convenience store. The more of them you do now, the less you’ll have to do in the long run. Training reduces turnover on multiple levels. Employees who feel capable, worthy, and successful will be loyal to the company that helps them feel that way. Your training program should include courses that develop both hard skills and soft skills. Hard skills – such as how to merchandise the shelves and use the POS system – give employees the confidence they need to do their jobs. Soft skills – such as time management and problem-solving – help employees achieve their true potential in the workplace. The employer-employee dynamic has shifted, and employees know it. The truth is, you need them just as much as they need you. To maintain a workforce into the future, you must offer what other employers don’t. This isn’t just about money. Employees are more likely to stick around if they feel appreciated and part of a team. They want to work for a company that shares their values and appreciate their uniqueness. Be that company. Improving your employee turnover rate won’t happen overnight. Implement a strategic and smart team building effort and you will see it change over time. When you give your employees the skills and knowledge they need, they’ll be more likely to stay with your company. ReadyConvenience online training is a sure way to increase retention and keep employees engaged in your organization. Click here to learn more.